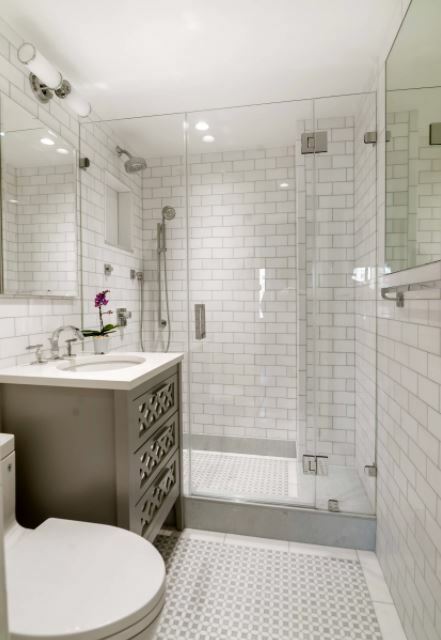 Check out these small bathroom ideas. Many of us live in small homes and apartment where space is a luxury. 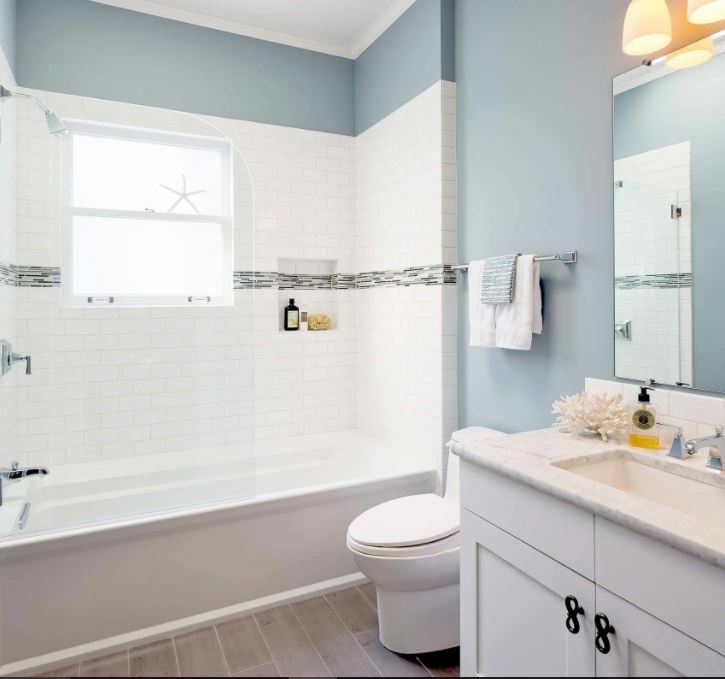 But, you can still manage to design a decent looking bathroom. Here is a bathroom with wash area and vanity coming first and the tub at the farthest end. I like the porcelain floor tiles that give the look of hardwood. 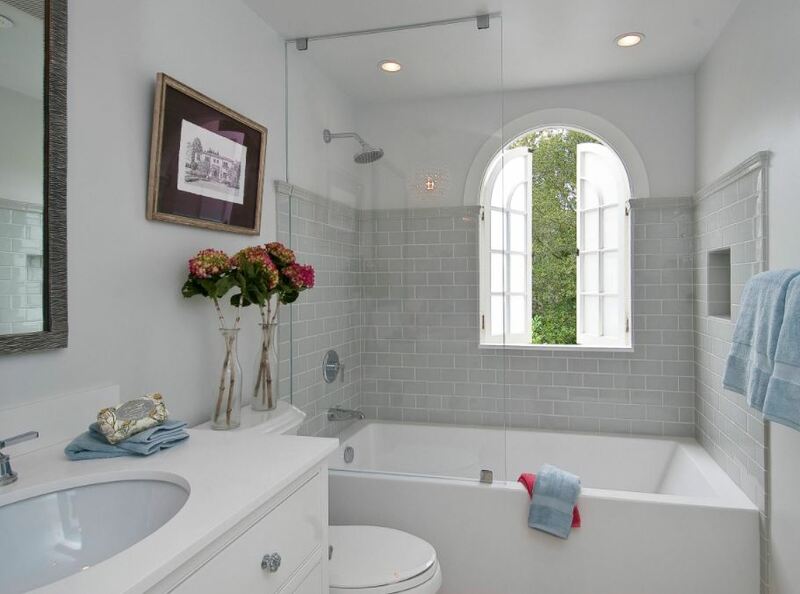 The tub in this white bathroom is placed along the rear wall. 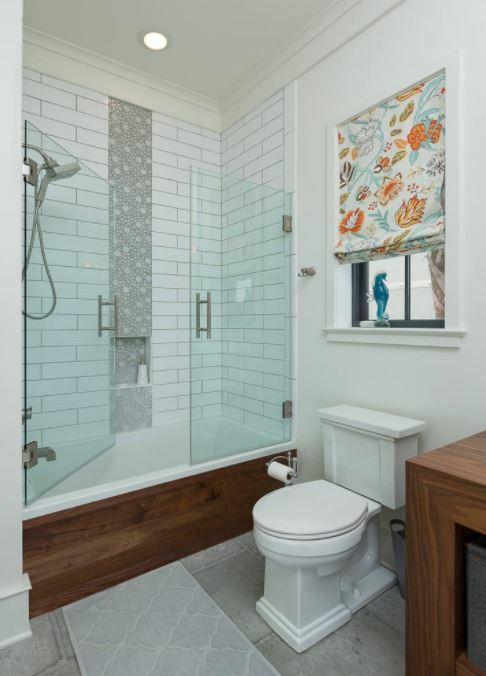 Looks like the toilet is totally concealed between the vanity and the tub. 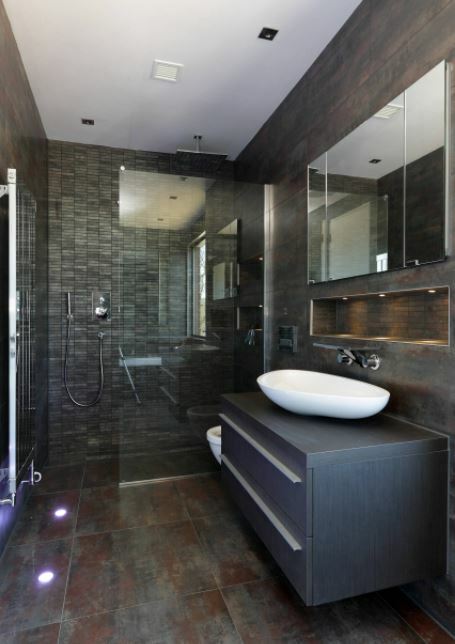 Check out this small bathroom in dark color. It has a shower area that is neatly enclosed with glass. 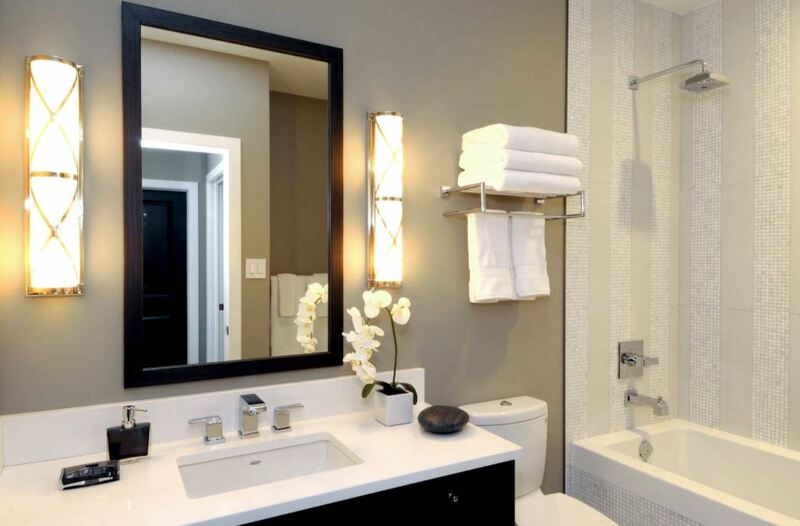 Go for a wall mounted vanity to keep the area clean and spacious. 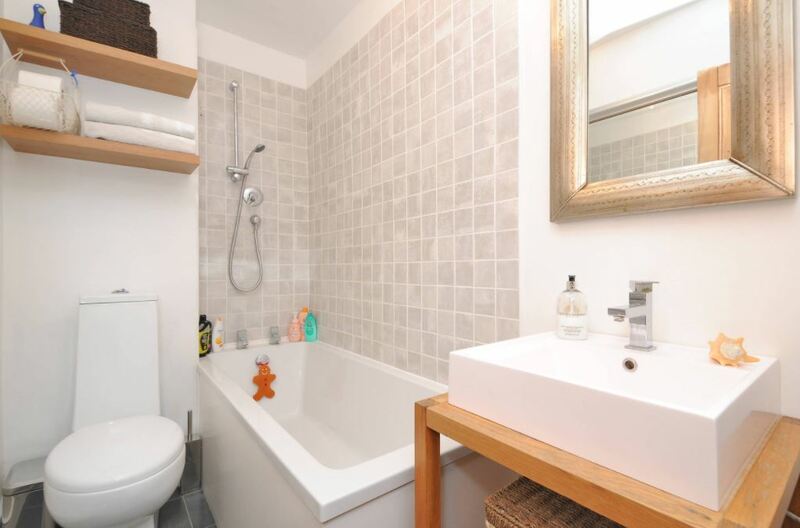 This beige bathroom can really brighten up your day. Keep it well-lit; flank the mirror with light sconces. 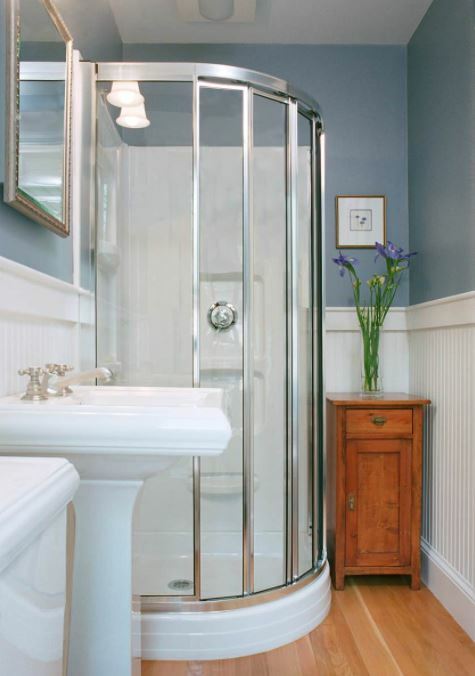 Create more storage space by adding a towel rack. You can go for a similar bathroom layout with marble tiles and a classic vanity. It has under mount sink that allowed space for some drawers for storage. 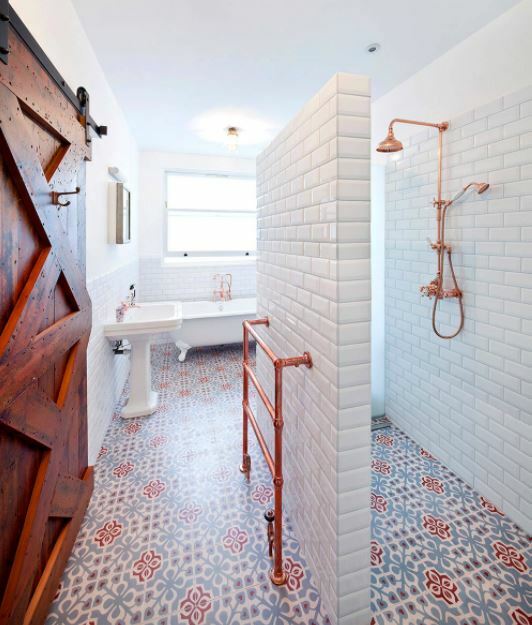 Take a look at this cleverly designed small bathroom with patterned floor and copper fixtures. A wall separates the shower area from the rest of the bathroom. Put up a sliding door to save space. When you are dealing with a small bathroom you need to think practically. Turn your tub into a shower; add a glass panel on it to keep the bathroom dry. 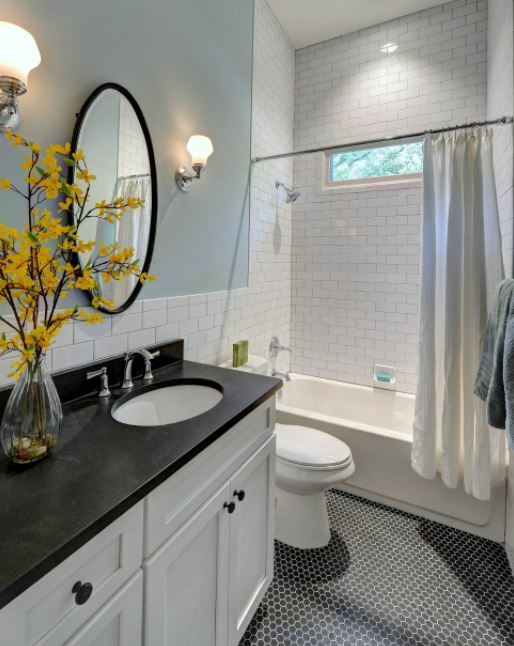 Here is a really sleek, narrow bath space. 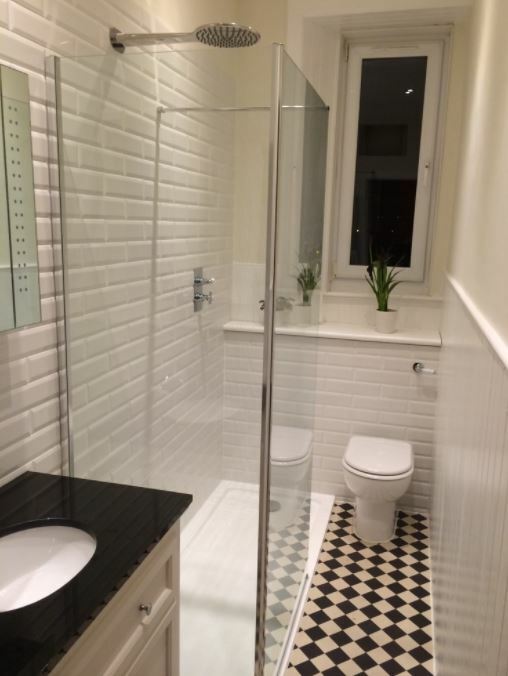 Use white and black color in perfect co-ordination to get this stylish looking bathroom. This looks like an ideal small bathroom idea. Go for a custom wood vanity and add a couple of pendant lights to get this look. 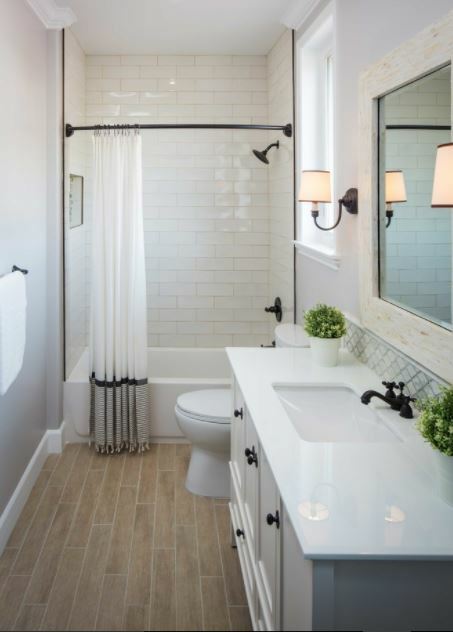 Porcelain floor, white subway tiles, black granite countertop – all put together in great perfection to make this beautiful bathroom. This bathroom has glass doors instead of a shower screen. Make it a bit more interesting by adding a bubble tile and a colorful fabric window treatment. 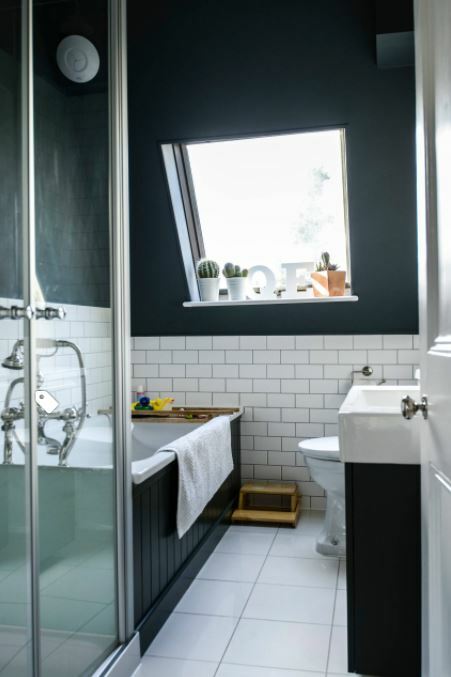 This is how you can use black in a small bathroom. There is fantastic use of space and drama in here. The large window saves it from looking like a box. A very elegant bathroom with lots of texture around! 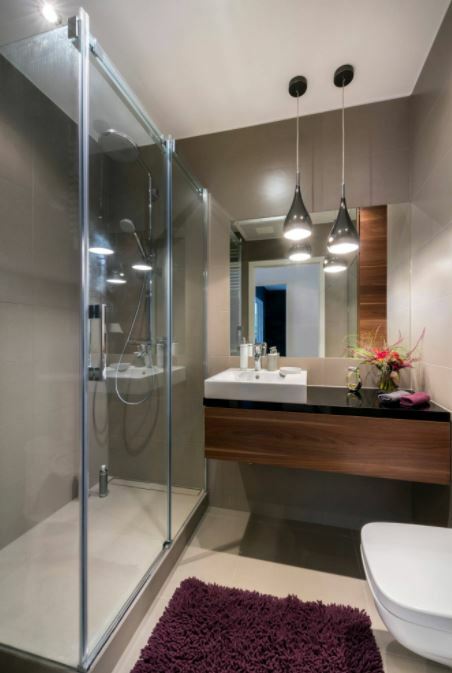 Adding a shower unit helps in keeping the bathroom clean and dry. I love the bead board wainscoting and hardwood flooring. 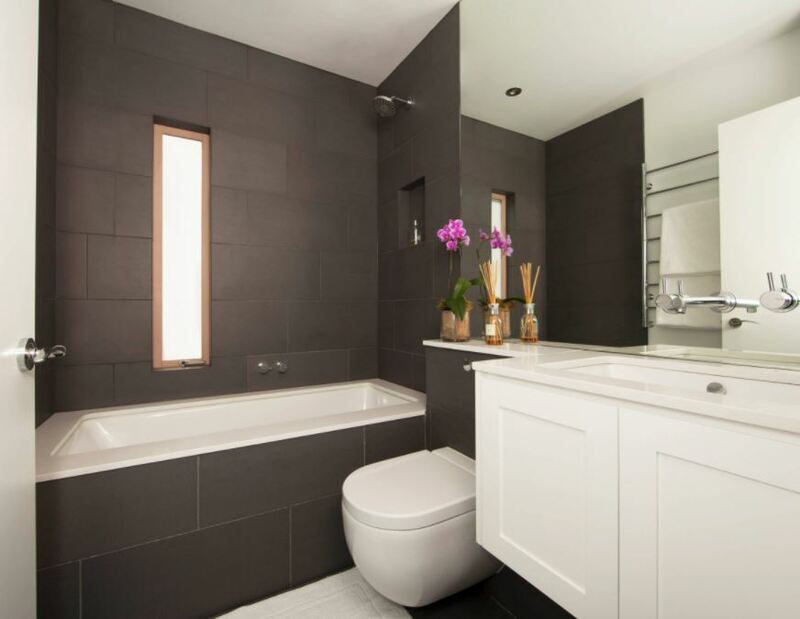 Go for wall hung toilet and vanity to make the small space bathroom look more spacious and open. Opt for under mount bathtub and sink. Love the clever organization and storage in here. It is a simple practical bathroom design with wood details. This entry was posted in Bathroom, Bathroom Designs and tagged Bathroom Designs for Small Spaces, Bathroom Designs India, Bathroom for Small Apartment, Bathroom for Small House, Indian Bathroom Designs, Simple Bathroom Designs, Simple Bathroom Designs for Small Spaces, Small Bathroom, Small Bathroom Decorating Ideas, Small Bathroom Design Ideas, Small Bathroom Designs, Small Bathroom Designs India, Small Bathroom Designs with Shower, Small Bathroom Floor Plans, Small Bathroom Ideas, Small Bathroom Ideas on a Budget, Small Bathroom Ideas Photo Gallery, Small Bathroom Layout, Small Bathroom Vanities by Homemakeover. Bookmark the permalink.